The Business Backer - Get Small Business Financing Today! Manage cash flow and seasonal revenues with the flexibility of a purchase of future receivables agreement. A fixed sum of funds borrowed up front, with a straightforward payment schedule. A revolving line of credit with ongoing access to funds whenever you need them. Complete the straightforward application to see if you qualify immediately. This does not impact your credit score. Provide three recent months of business bank statements and find the funding option that best fits your business needs. Sign your contract and receive funds in as little as 24 hours. Our Funding Advisors get to know you and your business's needs, helping you discover the offers you may qualify for and determining which product is the right match for your needs. It's simple and straightforward, without any sales pressure. Our Financial Advisor was extremely helpful. He educated us on our options and truly wanted to help our business. The Business Backer did not reject us because of our business age or type. 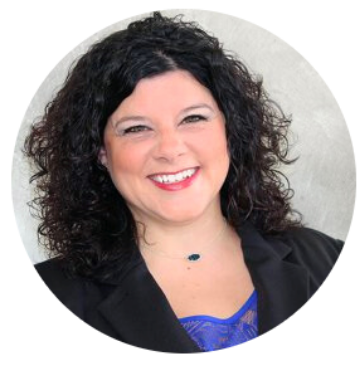 Abby McCloud – LipoLaser of West Chester, Inc.
From our range of products to our personalized approach, we work hard to make your funding experience a great one. "After my previous experience with banks and other funding companies, I was shocked and pleased with The Business Backer's quick and easy process. Not only was I getting lower rates, I was also getting my funds when I needed them and was never blindsided with hidden fees." "The relationship we have forged with The Business Backer has provided us with peace of mind and security... I can't imagine finding a working capital option that could compare to The Business Backer." *Funds may be delivered within one business day after documentation is received. Funding takes place Monday – Friday, 8 a.m. – 3:30 p.m. ET. **We will not perform a hard credit pull until after you have signed the contract.